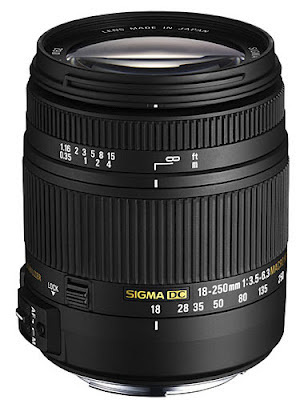 Along with the 2 new lenses released by Nikon (24-85mm and 18-300mm) 2 weeks ago, independent lens maker Sigma announced the release of their own super-zoom lens 18-250mm F3.5-6.3 DC Macro OS HSM. This lens is especially designed for travelers and back-packers due to its weight which is 470g compared to the non-macro 18-250mm lens which weighs around 623g. It is also shorter by 1.3cm and .5cm smaller in diameter. Sigma boasts that this lens is different because it was manufactured using special polycarbonate material called Thermally Stable Composite (TSC). Here are some of the details of this new Sigma lens. This new lens will have mounts for Sigma, Sony, Nikon, Canon and Pentax. Canon mounts will be the first to be distributed this July. You can buy this one for USD 450 or PHP 19,000.